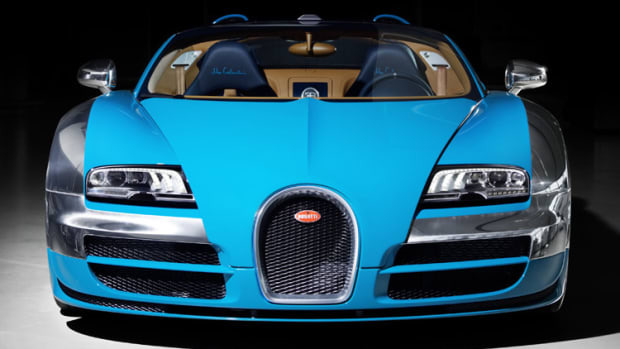 The grand finale of the six car Les Légendes de Bugatti line is dedicated the most important figure in the company&apos;s history, their founder and namesake, Ettore Bugatti. 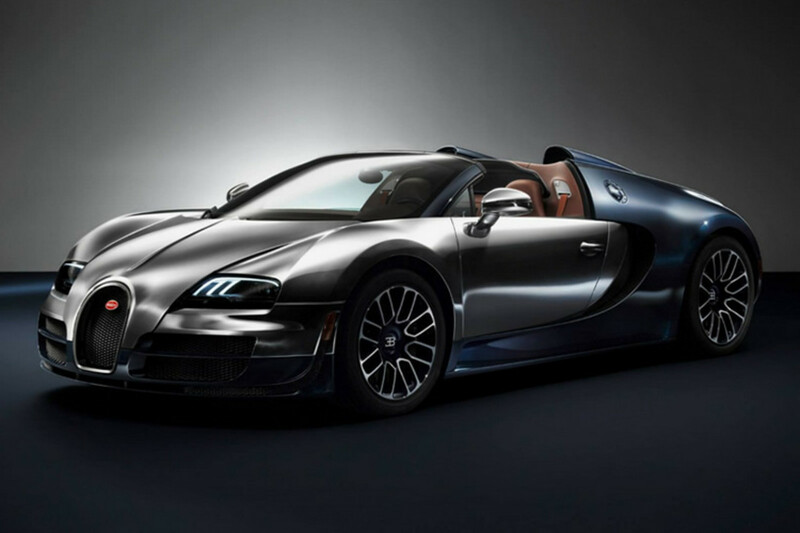 As with the rest of the line, the car will be based on the roof-less Grand Vitesse that is powered by a sixteen-cylinder engine that gets the car to a top speed of 254 mph which makes it the fastest production roadster in the world. 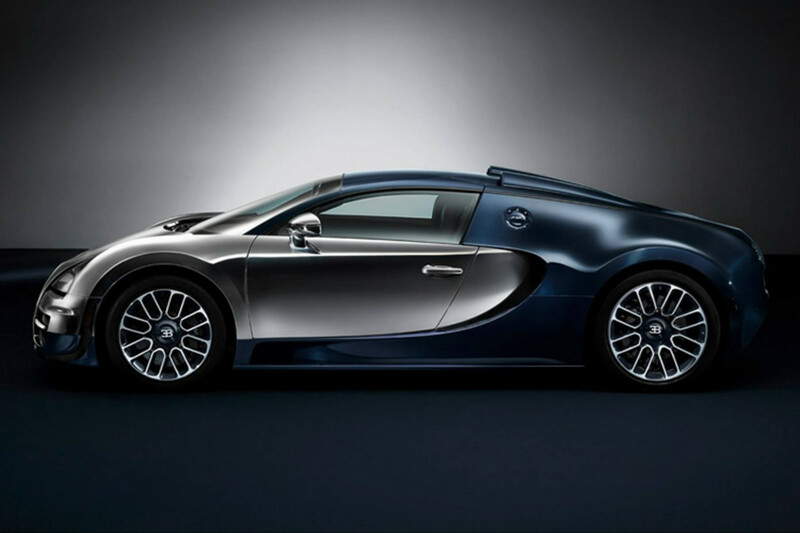 Inspired by his Type 41 Royale from 1931, the car echoes the "yin-yang" color split with an exterior in hand-polished, clear-coated aluminum and a dark blue carbon fiber. The interior is lined with two types of leather: Traditional calf leather and natural Cordovan. 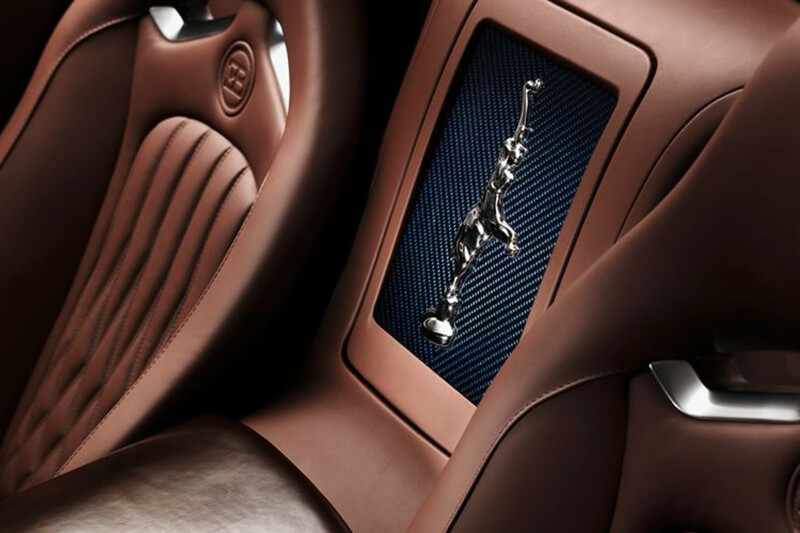 Accenting the leather interior is more dark blue carbon fiber and a platinum coated dancing elephant on the rear center box which takes after the iconic hood ornament that adorned the grille of the Type 41. 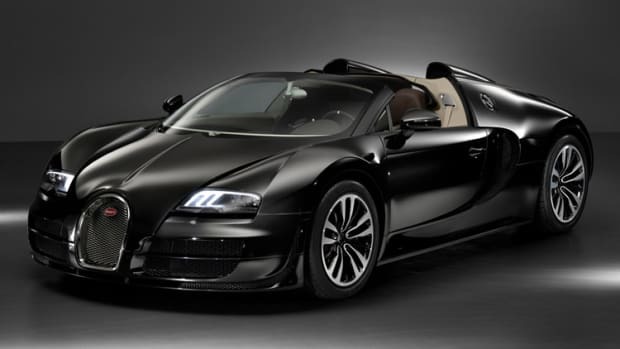 Bugatti Veyron 16.4 Grand Sport Vitesse "Jean Bugatti"